Have you ever wanted to have a power outage to try a product? Actually, you don't have to really have a power outage to use, but that's the purpose of the product, either that or if you're off the grid camping or perhaps on a job site before the power has been turned on. 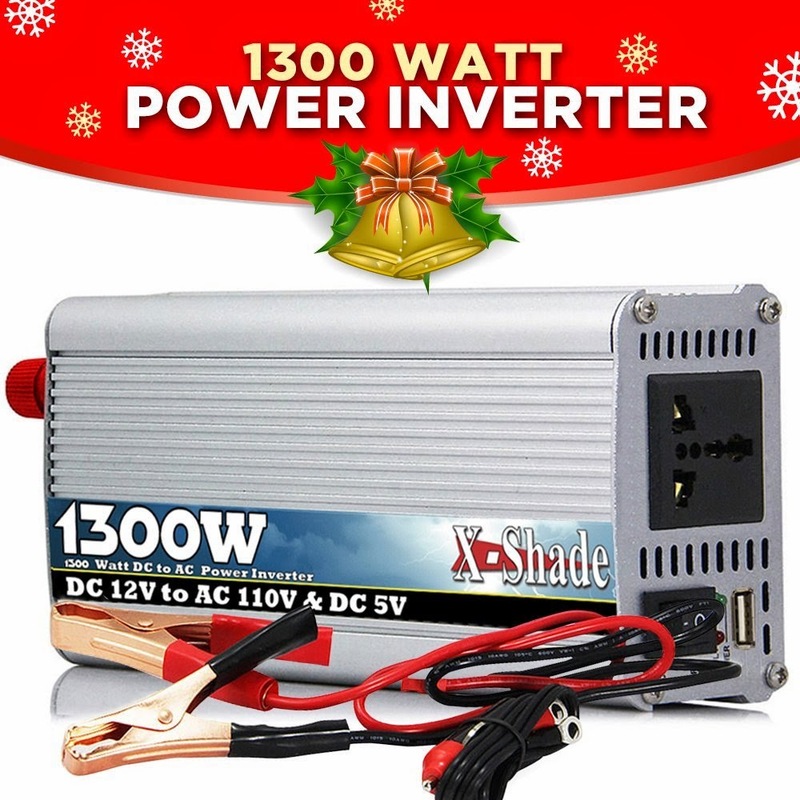 The X-Shade 1300 W Power Inverter will take the direct current (DC) power of a car and turn it into alternating current (AC) needed by your typical everyday appliances, mobile phones, and tablets, and many other items. You just connect the power inverter to the lighter or directly to the battery, and you can plug your gadgets / appliances into the inverter. 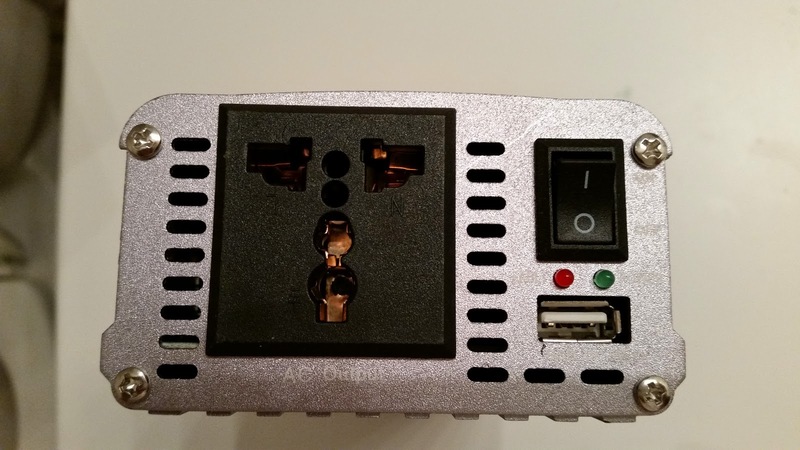 The lighter works sufficiently for the little things like your phone or tablet, but if you want to go with a TV or something big, you'll need to connect it directly to the battery . Out of the box, you get the inverter with the battery cables and lighter adapter. You just pick which way you want to use the device and connect to the posts on the side of the unit. The unit itself is smaller than a shoebox, checking in at 6 3/4"x3 3/4"x2 1/4" and just about 2 pounds. The side of the device has an universal/international plug so it accepts plugs in addition to the standard grounded US variety. There is also a USB port for charging the phone without an adapter. There are red/green lights to show when powered on (green) or if there has been a fault (red), along with the on/off switch. If running the device for a long period of time off of the car battery, make sure you don't run it for so long that you kill the battery and need a jump. A good use of the device for us is for long car rides. Our son likes to play on his LeapPad while traveling. The charge on the device only goes for so long. We can either recharge it while he's taking a break or just keep him plugged in while using it. I just wish there was a way to brace the unit down or perhaps just longer cables. Thankfully we have multiple lighter outlets in the truck so don't need to plug it in right next to the driver. I like the unit and can see some good uses for it down the road, specifically storing it with our emergency box for when the power goes out. Do keep a heavy duty and long extension cord handy with it. You probably don't want to keep your heavy duty appliance right next to the vehicle when the inverter is connected to the car battery. The appliance will certainly work there, but it would be more enjoyable indoors. 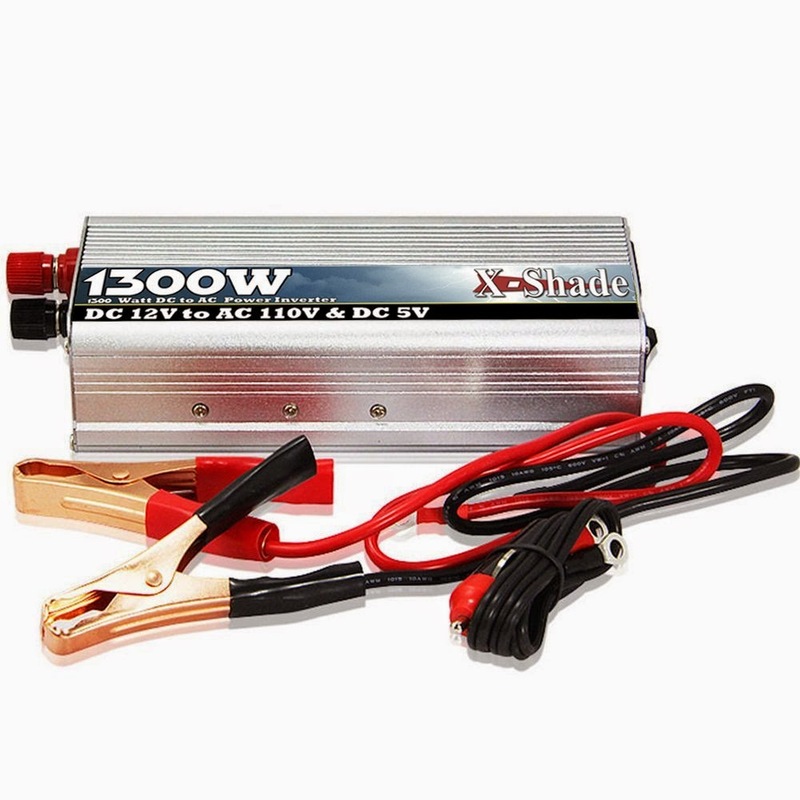 With the 1300 watt output, you can even attach a power strip to run multiple items, where one would likely be a light. But it can also handle a microwave, freezer, or one of those plug-in burners if you want to do some cooking.